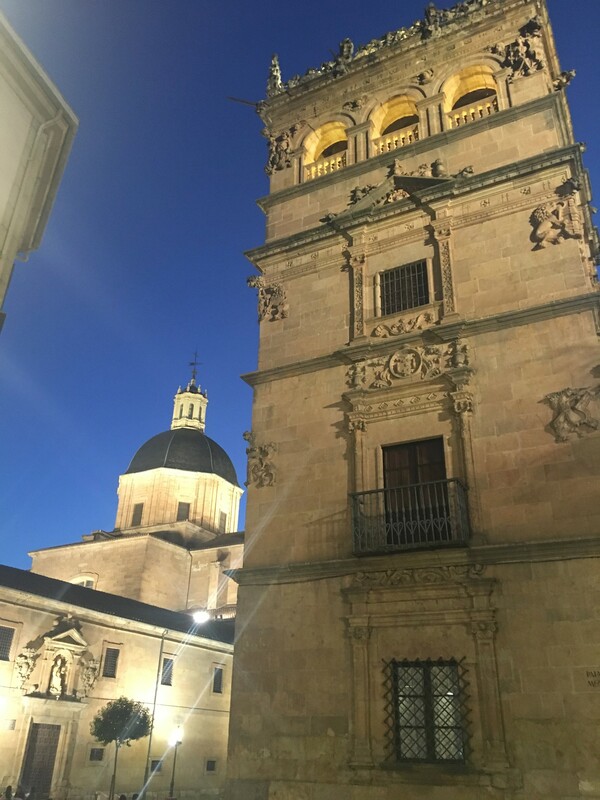 Salamanca is the perfect example of a city that combines history, hundreds of years of tradition and a modern environment made for students. 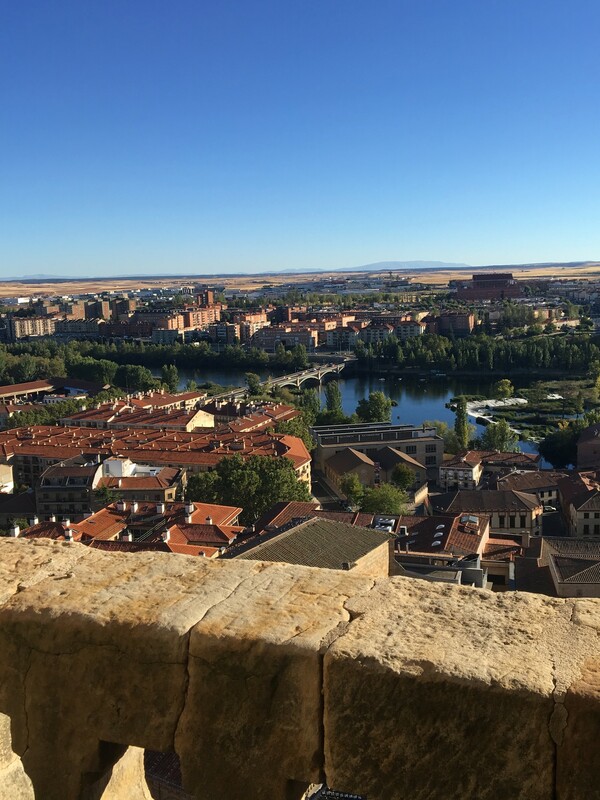 The old town of Salamanca was declared a UNESCO World Heritage Site in 1988. 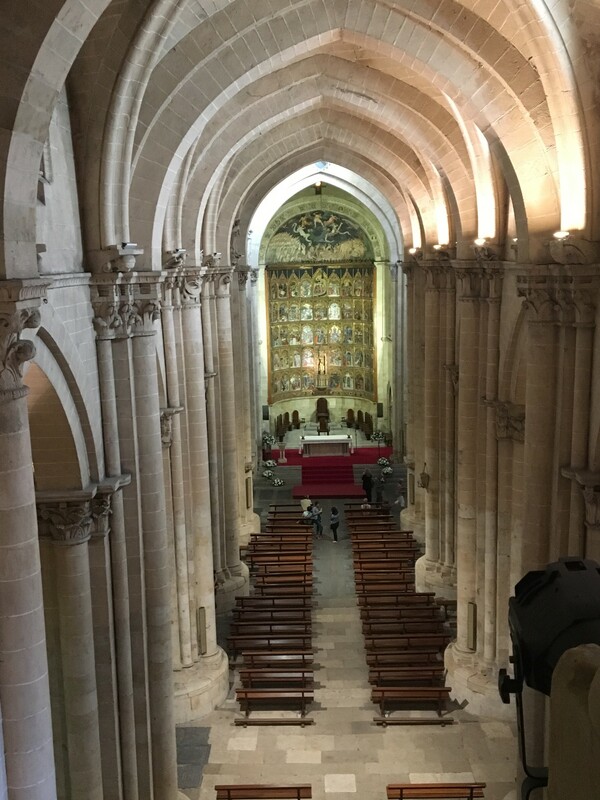 This will already indicate how much history and how many important monuments there are that give their own touch what is now the city of Salamanca. Despite not being very big (you can walk around on foot perfectly well), it has a lot to offer. From cultural day trips to extraordinary parties, there is an infinite list of things to do. 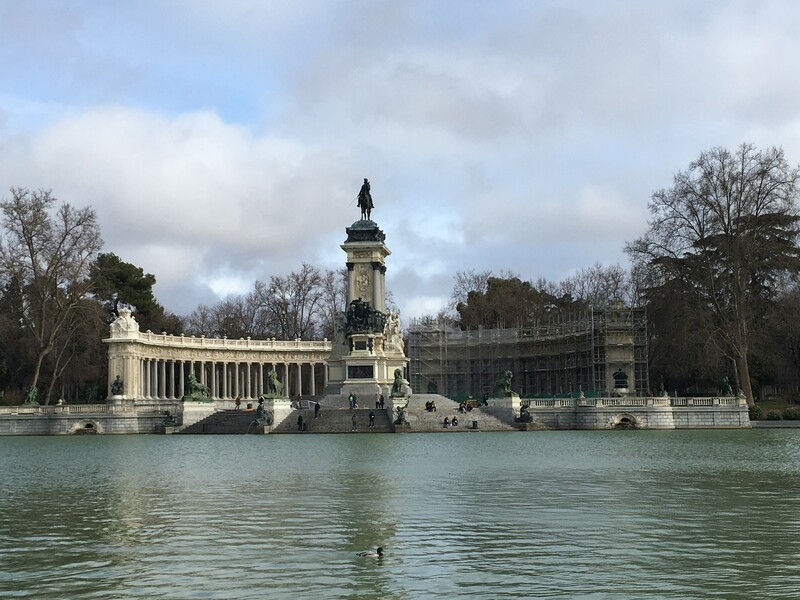 Lots of museums, galleries, parks or even just lots of buildings that have hundreds of years of history behind them and a unique characterising beauty. 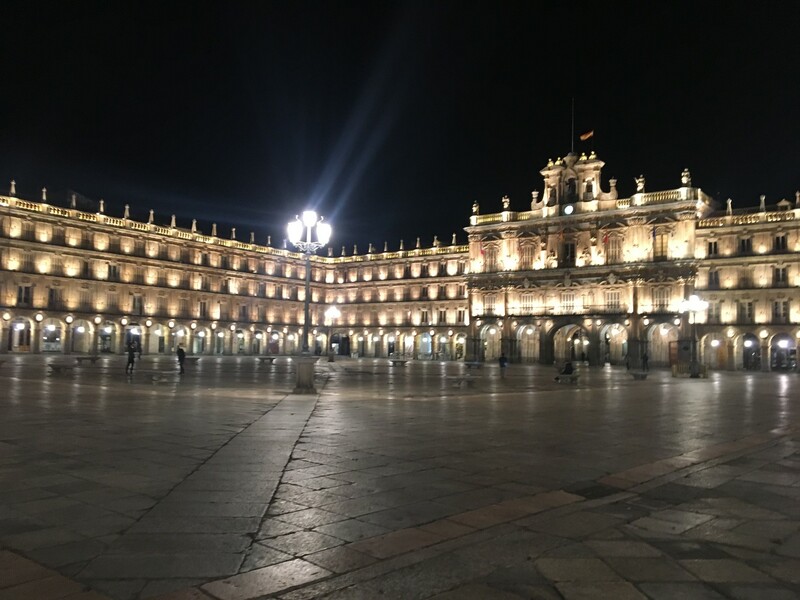 You can always see students in the streets coming from and going to their classes or even people drinking coffees in the Plaza Mayor. The centre of the earth... Or at least the centre of Salamanca. It is considered by many to be the heart of Salamanca. Literally, because everything happens here. From college freshmen in September every year, to book fairs, demonstrations, University New Year, exhibitions, art galleries, the meeting point for every outing with friends, EVERYTHING happens here. Everyone who passes through the city is obliged to go. The most renowned symbol of Salamaca. Entering the city via the motorway from any direction you can see it from miles away. 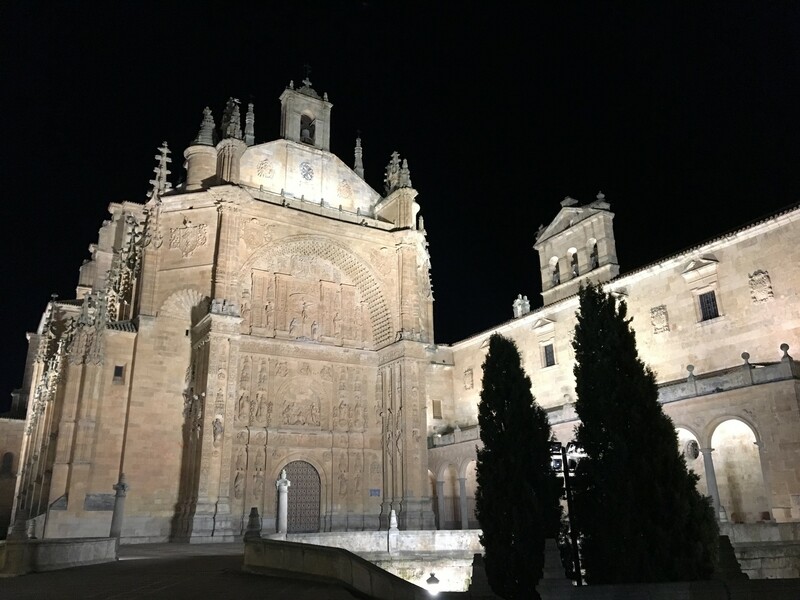 For the students who come and go frequently from Salamanca, it is a definite relief the moment we get to see it. It gives us a feeling of "coming home". It is divided into the Old Cathedral and the New Cathedral, the Cloister and Museum. 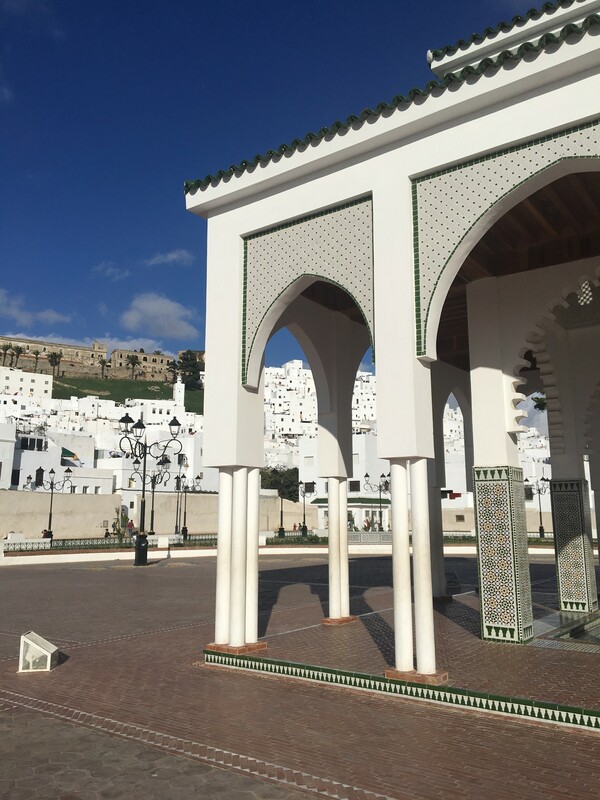 You can enter all of them with audio guides that explain all the monuments and the history that surrounds them in detail. If I am not mistaken, there is a special schedule on Sunday afternoons when the entrance is free. It's worth it to go in! 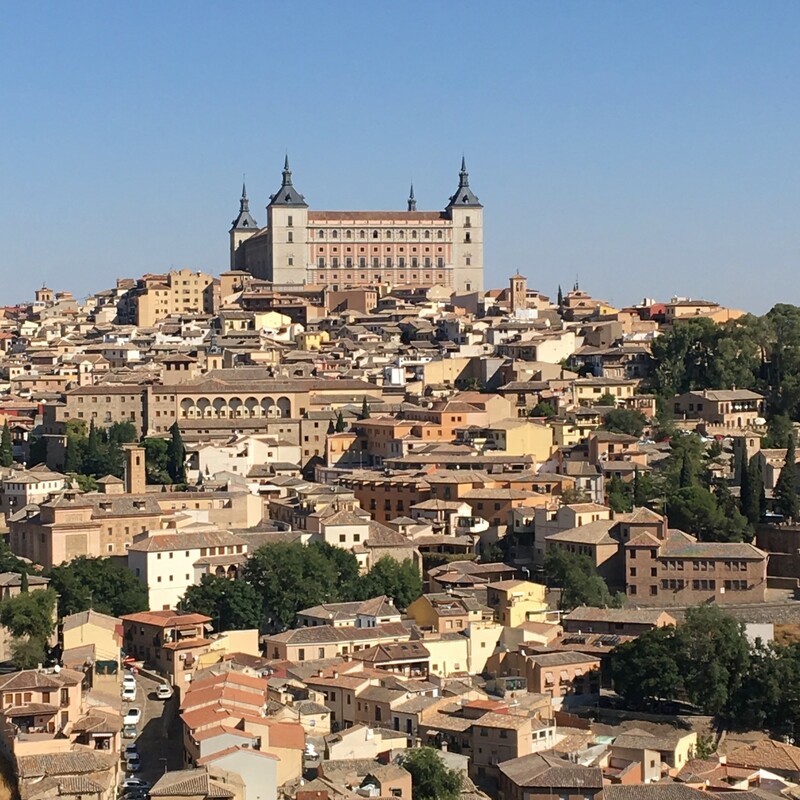 In addition, you can also climb the Torres de la Catedral, where there is a spectacular view of the city, the interior of the Cathedral, the river Tormes and Santa Marta de Tormes on the other side. That being said, I recommend that you take into account the infinite number of stairs to climb, and the space is quite small, so for claustrophobic people like me, maybe it will be a little hard. But even so, I went up and lived to tell the story. 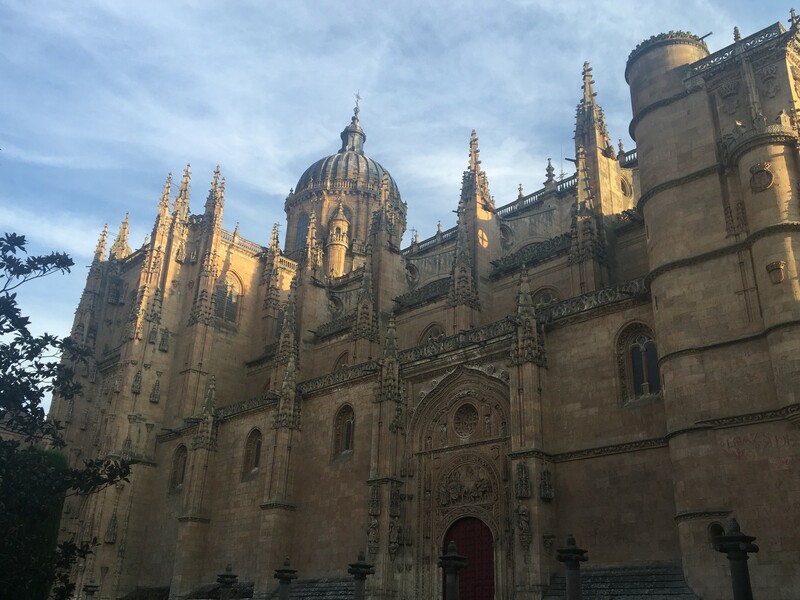 There are two important universities: the University of Salamanca (USAL) and the Universy Pontificea of Salamanca (usually called Ponti). Personally, I am a Biology student and my faculty is on the Unamuno Campus. The building itself is very modern, ideal for the amount of students that they have. However, quite often we have practical tasks take place in the pharmacy faculties, or medicine. As modern as they all are, you can see that the faculties are well invested in them. During exam periods, the city libraries are filled with stressed-out students with mountains of notes and books to study. 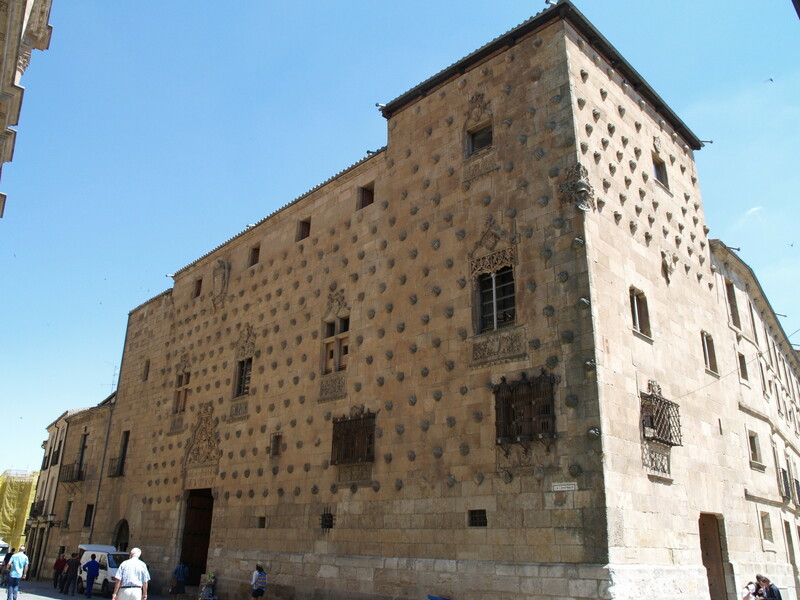 During these times its better to avoid the libraries, at least the Conchas House, which is public, and is one of the most iconic buildings that we have in Salamanca. It's worth it to visit! Aaaah yes.... The famous parties. Without a doubt, Salamanca is the best place to go out to party. Due to its mostly student environment there are lots of bars, restaurants, and discos that wait for students during the week with the best music and food. From little, hidden bars to those that are the busiest, there's something for everyone. -Iconic Tuesdays it's the Erasmus parties, they always have a different theme and country celebrations each week (you will always be able to find me here... ). 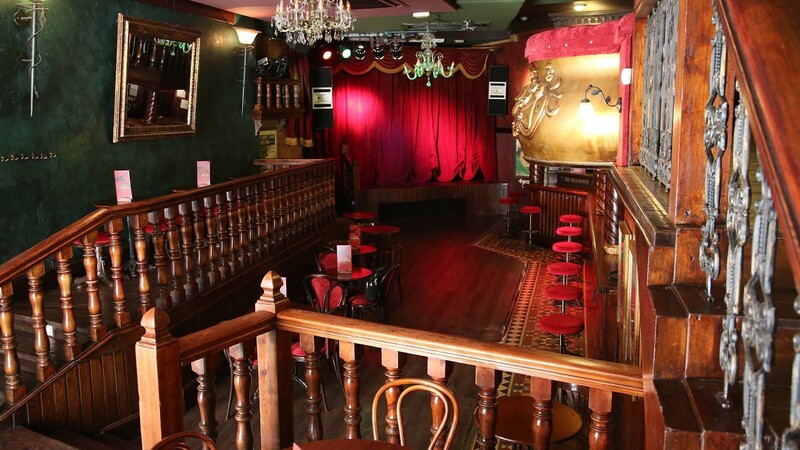 -Wednesdays it's karaoke, unmissable for music fanatics! -And the rest of the week it is a calm place to have a couple of beers with friends, meet people you know or make new friends. With my friends as well we go a lot, and when I say a lot, it's because we go ALL the time, it's the Puerto de Chus. The pitchers of beer are very reasonably priced and the tables outside are a great place to sit. 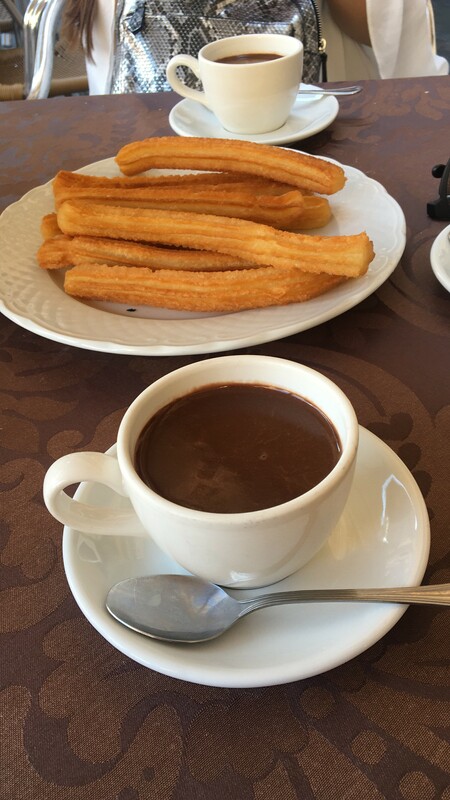 Another similar option is La Sureña. Or the Gran Café Moderno. The most important street for the parties is the Gran Vía. There are a lot of options for you to choose from. The tables of shots with gummy sweets in are at Barvel, there's an underground feeling at Animal, the litre drinks for €3 in Parabarap, the best of Spanish rock in PakiPalla, etc.. I can't talk about parties without mentioning the best of the best.... the botellón (drinking in the street parties). Hundreds of people confined to small students flats, with friends, aquaintances or strangers, the best stories come from here. From my experience, the most fun and crazy ones are the Italian ones. You could say totally out of control. 8 out of 10 times the police will arrive to intervene. More times than not to turn down the music. Good thing the neighbours are used to it... And the police too. Usually, after 4 am the people go out to the clubs that are still open, they are Kandhavia and Bisú Loads of people. Loud music. 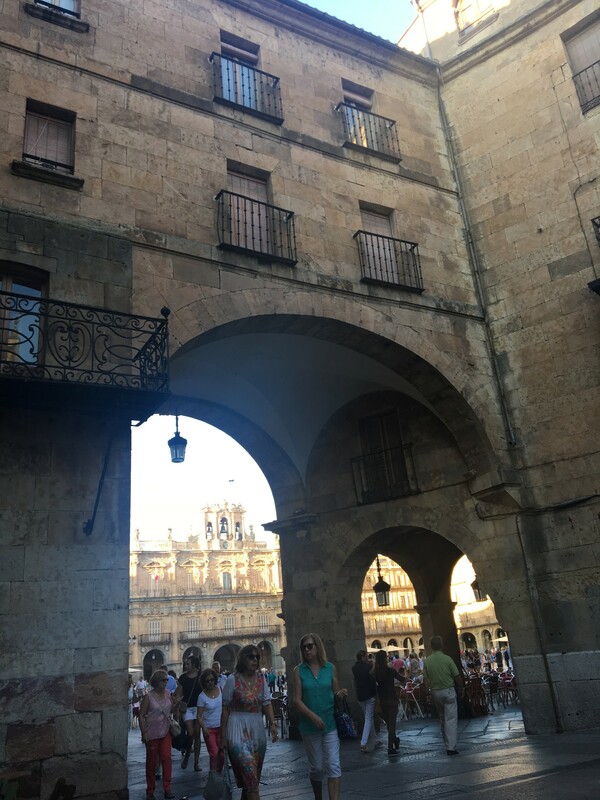 It's not quite my style but I would still expect it so that you can get a complete tour of Salamanca, it is necessary to go, at least a Thursday, or a Saturday, which are the days designated to the big holidays. 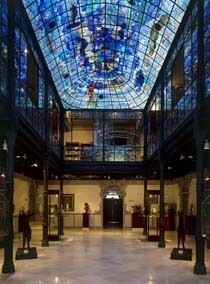 Museum of Art Nouveu and Art Déco, more widely known as the Casa Lis. Iconic, modern and a great café. 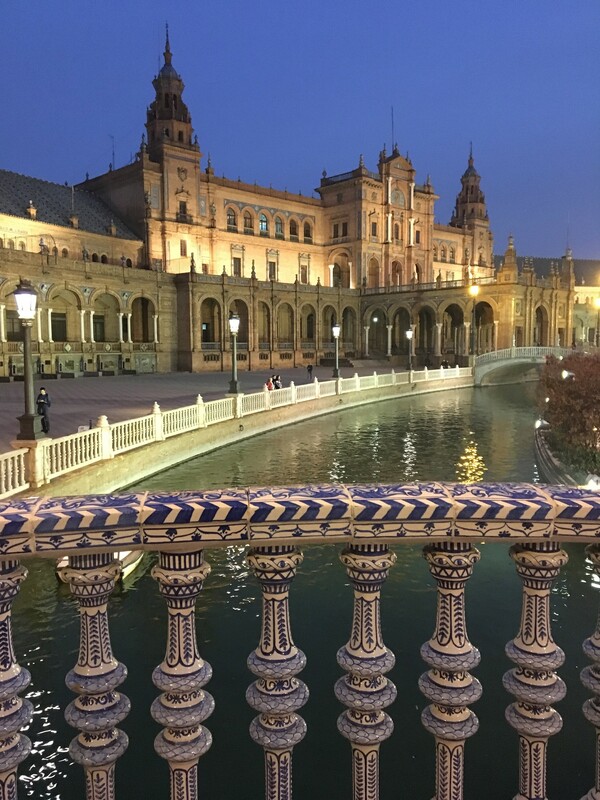 Walking next to the Tormes river on Sunday afternoon, having a picnic in the Calixto and Melibea orchard, taking a walk in the San Francisco field or taking an ice cream in the Anaya Plaza with a view of the Cathedral is an ideal plan. The best tapas in Slamanca are in Van Dyck. There are an infinite amount of places to taste the best tapas at reasonable prices, which makes going to lunch or dinner an elaborate plan and a social event. We call it going out to "tapear". The weekends are especially reserved for this. 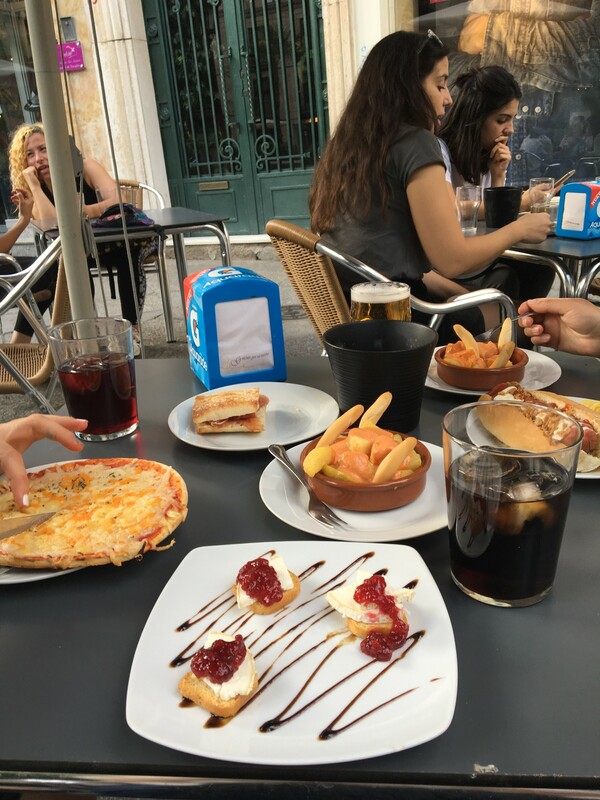 I also recommend going through Rúa Mayor (a purely tourist street), from the Cathedral in the direction of Plaza Mayor, because there are also excellent places to taste the best of Spanish food. from the Plaza Mayor, they're incredible! 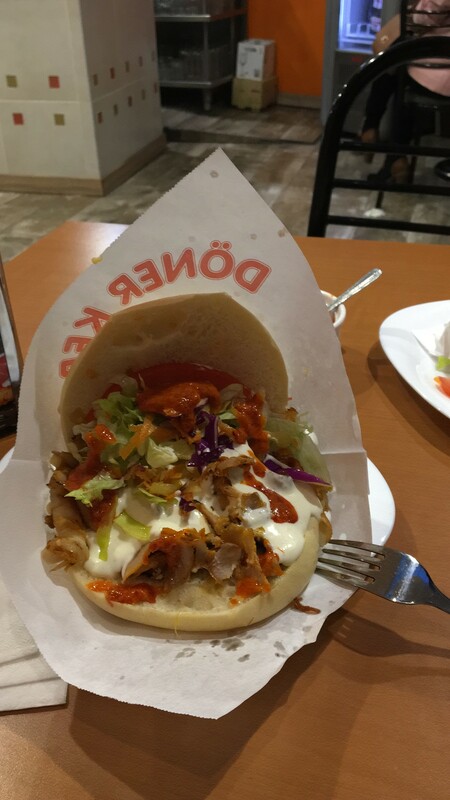 And the best food to fight hangovers are Kebabs. This is not up for discussion. This is one of the things that I hadn't taken into account, but now I am so happy to have: the opportunity to travel and visit so many close cities. 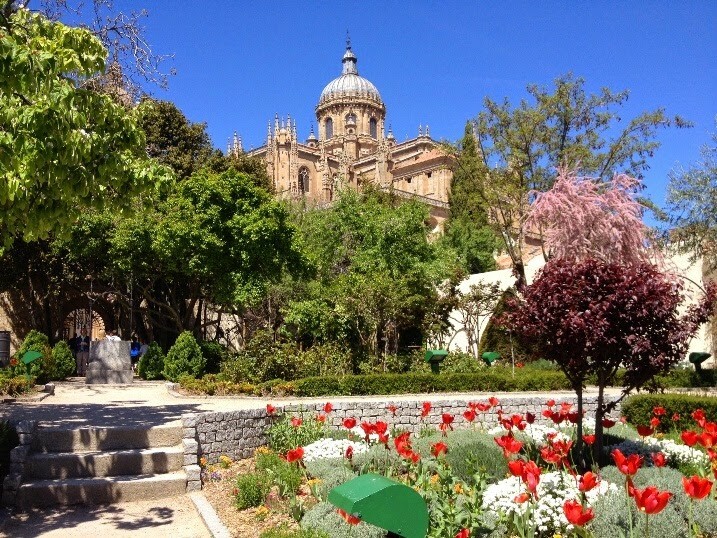 Salamanca has a lot of options to go on trips to cities closeby, by bus or train. This is what I did myself, and in other cases I travelled with a group of Erasmus through a travel agency. Although it doesn't seem important, I think it's worth mentioning... 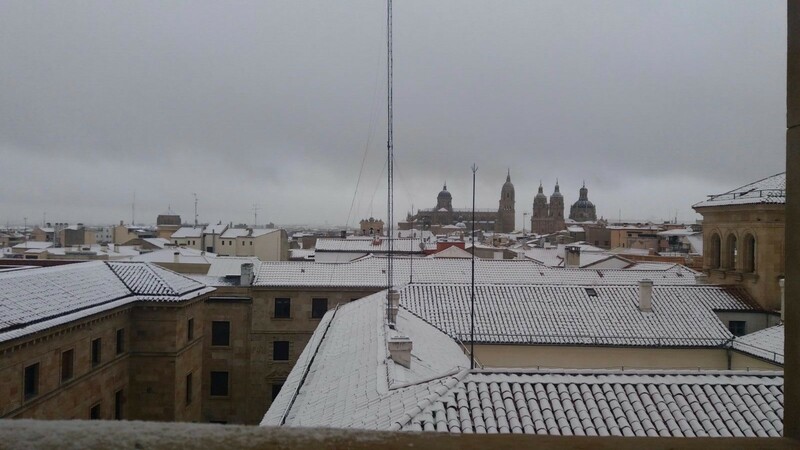 The climate is very nice in Salamanca, warm during the summer and autumn, although it's very extreme in the summer and winter. But it is perfect just for that reason. Except during summer there are no uni students here and so its only the tourists suffering in the 40 degree heat, and in winter all of the buildings have lots of heating. There's nothing to fear. And in case it snows (which is an extremely rare phenomenon), don't worry if you don't realise, you'll find out from the huge amount of photos and/or videos on platforms and social networks, because most people go crazy for snow. With that, I think I have covered everything... 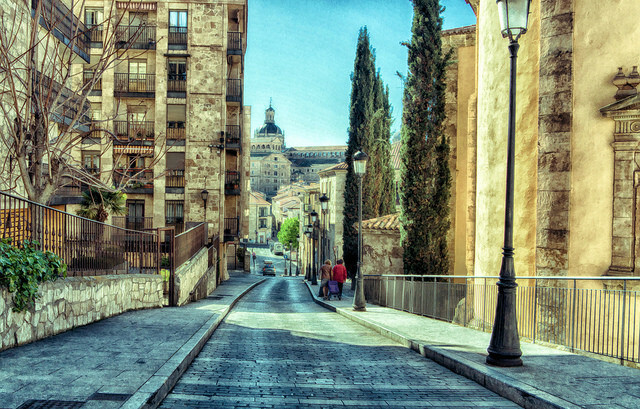 But to give you an idea, Salamanca is very special both for the people who come to visit and the people who live here. I look forward to all that's to come. I hope someday I can say that I know every corner of Salamanca. 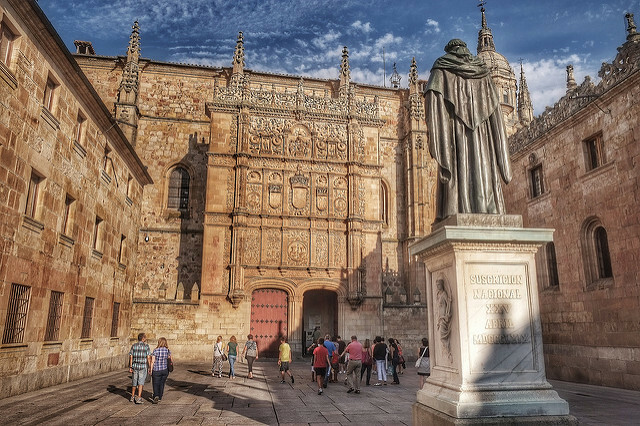 Share your Erasmus Experience in Salamanca! 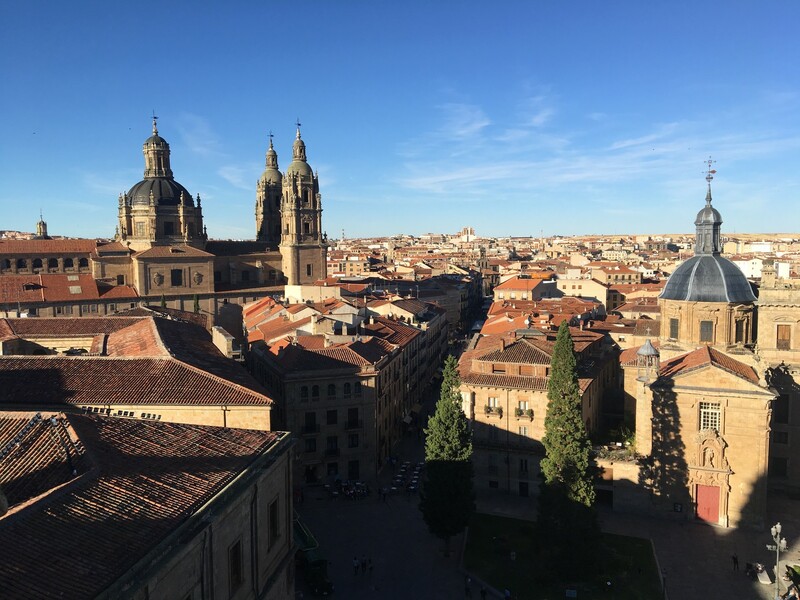 If you know Salamanca as native, traveler or as exchange student... share your opinion on Salamanca! Rate different characteristics and share your experience. To study? …not so much!